Born on July 1, 1646, in Leipzig, Electorate of Saxony, Gottfried Wilhelm von Leibniz was a prominent German philosopher, mathematician, philologist, lawyer, and one of the founders of library science. In terms of philosophy, Leibniz is considered one of the three important rationalists of the 17th century, alongside French philosopher René Descartes and Jewish-Dutch philosopher Baruch Spinoza. The philosophical work of Leibniz is perceived as optimistic because he deemed the universe as the optimum one among all of God’s creations. While anticipating analytic philosophy and modern logic, his philosophical work includes elements which pertain to scholasticism, a method of critical thought that focused on dialectical reasoning rather than empirical evidence. Leibniz, the polymath, is associated with important inventions in mathematics, such as infinitesimal calculus, integral and differential calculus, the Leibniz harmonic triangle and Leibniz formula for determinants. His father, Friedrich Leibniz, a professor of moral philosophy at Leipzig University, passed away when Gottfried was only six years old. As a result, he was brought up by his mother, Catharina Schmuck, whose teachings had an enormous impact on his philosophical beliefs in his mature life. He inherited the personal library of his father which enabled him to study from an early age various theological, literary, and philosophical works. In 1662, Leibniz earned his bachelor’s degree in philosophy and in 1664, he earned his master’s degree in the same discipline. He also earned a bachelor’s degree in law in 1665, all while attending Leipzig University. His work was greatly influenced by his professor, Jacob Thomasius. His habilitation thesis was the first section of his first published book entitled On the Art of Combinations (1666). Due to the fact that the University of Leipzig refused to grant him the Doctorate in Law, possibly because he was only 20 years old at that time, he enrolled in the University of Altdorf, near Nuremberg, where he earned that same degree in 1666. He worked as an alchemist, Assessor in the Court of Appeal and Privy Counsellor of Justice (after accepting the Duke of Brunswick’s invitation to work in Hanover). Among the greatest philosophers in his era, Leibniz was the only one who had to earn a living. He also remained unmarried throughout his life. His philosophical work is based on seven fundamental Principles – optimism, identity of indiscernibles , identity/contradiction, sufficient reason, Law of Continuity, plenitude and pre-established harmony. His Discourse on Metaphysics, a short treatise published in 1686, was an expression of Leibniz’s earlier philosophical thoughts. His metaphysical considerations expressed in this work emphasize his conception of God as an “absolutely perfect being.” He stated that God has created our universe in an ordered, perfect manner and He has chosen the best of all possible worlds. Thus, Leibniz firmly believed in God’s solidified omnipotence and that no better world could ever be imagined by people. His later philosophy was incorporated into The Monadology, a 90-paragraph text published posthumously which explains the composition of metaphysics – monads ( “perpetual living mirrors of the universe”), which, according to Pythagoreanism, represented the divinity or the totality of all beings in the universe. Leibniz concluded that this theory led to metaphysical optimism through sufficient reason and to idealism and that “the best of all possible worlds” should contain ” the greatest variety of phenomena from the smallest amount of principles”. 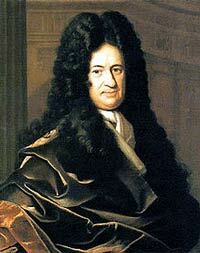 Gottfried Leibniz passed away on November 14, 1716 at the age of 70 in Germany. His tomb remained unmarked for over 50 years. French author Bernard de Fontenelle eulogized Leibniz before the French Academy of Sciences in Paris.